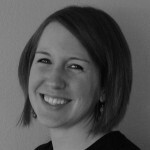 Today I want to introduce you to our first ever guest writer, Lisa Newman. She recommended I give this recipe a try not too long ago and we thought it’d be fun if she told you all about it. But first a little about Lisa…I’m soooo thankful that she married The Phoenix’s cousin so we had the opportunity to meet. Even though we’ve only had the chance to see each other a couple times because her and her family live in California, she is a dear friend and I love her to pieces. She’s married (like I mentioned before) to a really great guy and they have two adorable kiddos. I think my favorite thing about Lisa and her hubby are just how much they love Jesus and how apparent it is in their lives. They totally inspire me. Okay, that’s more than enough from me. 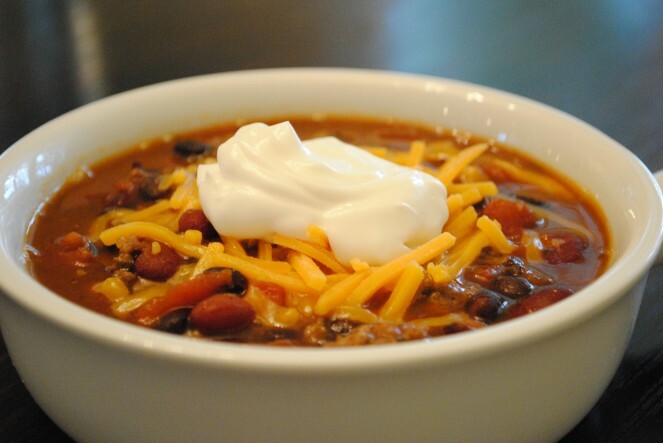 Here’s Lisa and an awesome slow cooker recipe for taco soup. Yum! Ahh, Taco Soup. My secret crockpot crush. This recipe got me started using my crockpot with regularity. It’s a great dish to make if you don’t know what to make for dinner or you have a young family coming over or need to bring a dish to a party. I always keep the ingredients in the cabinet! 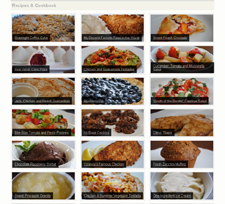 A good friend shared a website with me created by a woman who spent one year using her crockpot every day. I figured she had to have something I would like with little cooking knowledge required. I love Mexican food with a serious passion and was hoping to find a tasty dish on her website. This is most likely because of the close proximity to Mexico most of my life and the abundance of delicious Mexican food options. The crockpot lady always posts a picture of her ingredients and as I studied the picture I realized I could make this dish! I’ve tried it with canned beans and dry beans. Personally, I prefer the flavor of the canned beans. I tend to buy “no added salt” or organic for the canned beans, corn and tomatoes. We love it spicy but if it’s too spicy you can try it without the tomatoes and chiles. Also, the ranch dressing mix packet is optional as well. The topping extras are purely personal preference. In my family, we love to sprinkle cheese, avocado chunks and broken up tortilla chips in the dish. Sour cream is delicious too but hard to find additional dishes to use it with afterwards before it spoils. Additionally, I prefer grass-fed beef. It cooks well, smells wonderful and has a melt in your mouth texture. It really soaks in all the flavors well. However, you can also get grass-fed turkey at your local grocery store if you’re trying to stay away from red meat or looking for a leaner meat. I have noticed that the longer you cook it, the better it tastes. The best part about the prep is that it takes as long to make as it takes you to open the cans and brown the meat! Brown meat in a medium skillet. Drain fat and add meat to the slow cooker. Cover and cook on low for 8-10 hours. Stir well, and serve with a handful of shredded cheese, a dollop of sour cream and some chunks of avocado on top. Enjoy! The picture you took makes me want to cook this tonight! Yum. It smells so good. Next time I make it I’m going to try substituting the pinto beans for black beans like you suggested. That sounds great! Thanks for all your sweet words and the opportunity to share a recipe!